DALLAS--(BUSINESS WIRE)--Genomics England and Lantern Pharma, a clinical stage pharma company specializing in precision oncology using artificial intelligence, announced today that Lantern will join Genomics England’s Discovery Forum industry partnership. The partnership aims to translate groundbreaking research into innovative treatments, and ultimately patient benefit, as rapidly as possible. Lantern Pharma is reinventing the cancer drug development process, tailoring multiple promising precision drug programs to the right cancer patients through use of their RADRTM platform (Response Algorithm for Drug Rescue and Positioning). Right patient stratification is still considered by many in pharma as the holy grail. Lantern is disrupting this using seamless integration of relevant existing data, generation of new clean data closely modeling real world evidence and very focused artificial intelligence technology application to further model this data and distill into meaningful information that can identify & stratify right patients with high accuracy. Even a small step ahead in the right direction will be a huge leap for the pharma industry. Lantern is currently leading the way in AI directed drug development, recently having fast tracked shelved assets from in-license to out-license within 18 months in a total deal worth up to $21M. Lantern are currently progressing 3 clinical stage drugs in using this technology. Lantern aims to develop 10+ precision oncology treatments over the next 2 years by opening up access to its RADR platform to other pharmaceutical companies. Lantern is building a wide, global tissue and data access network to enable the success of its precision programs. Partnering with Genomics England will further strengthen this objective. 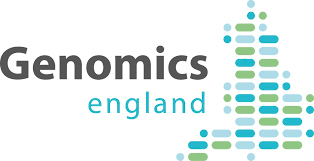 Genomics England is a UK Department of Health and Social Care owned company, set up to deliver the 100,000 Genomes Project. The Project is the largest of its kind in the world, and aims to sequence 100,000 genomes from around 70,000 people with rare disease and cancer. Combining this with their health data will enable more diagnoses and improved personalised treatments for patients in the future. The Genomics England Discovery Forum provides an engagement platform for industry partners, academia, the NHS, and the wider genomics community. More than 30 of the world’s leading genomics companies come together within the Forum to work in a pre-competitive environment with access to de-identified whole genome data from the 100,000 Genomes Project. Lantern already have bases in both the US and India and have recently established a UK operation to work more closely with the European pharma industry. Lantern Pharma is a late clinical stage precision oncology company that is using proprietary tech platform called RADR to identify drug specific complex genetic signatures (potential CDX) for potential responders identification and stratification with a high prediction accuracy to conduct focused precision clinical trials. RADR is integrating any existing clinical data, with data generated from wet-lab approach closely modeling real world evidence/clinical trials and artificial intelligence to identify genetic signatures and right responders. Lantern Pharma Inc has 3 drugs in the pipeline, Irofulven-1 out-licensed, Irofulven-2 (prostate and ovarian) entering clinical development, Tavocept, a Ph3 NSCLC cancer drug. Lantern is continuously looking to in-license or acquire or partner drugs programs and RADR Tech. Lantern also is building a tissue and data access network to enable the success of the precision programs. Lantern's approach can improve success of the drug, lower developmental costs and time many folds vs traditional drug developmental processes.